The Iowa Academy of Science promotes science throughout Iowa in many ways. Below you will find recent examples of how the Academy partners with other groups or organizations. Click on each event to learn more. 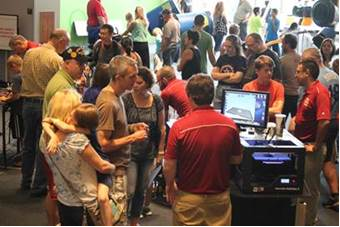 Des Moines Mini Maker Faire, held on Monday, September 1, 2014. How did the Iowa Academy of Science play a role in the event? The Science Center of Iowa was awarded an Iowa Science Foundation Grant (ISF 14-19) in 2014. The Iowa Science Foundation is administered by the Iowa Academy of Science. Each year the Iowa Science Foundation Committee of the Academy selects proposals from a pool of submissions that meet the Academy mission of advancing science research, science education, and the public understanding of science. The Academy was pleased to award funding to the Science Center of Iowa for the Des Moines Mini Maker Faire. It is another way Academy members work to provide opportunities for Iowans to experience science. 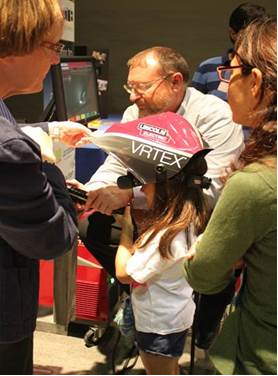 Congratulations to the Science Center of Iowa for a successful event. Passenger Pigeons Return to Roost: Conservation and Exhibition of the Putnam Museum's Collection of Extinct North American Birds. The Putnam Museum in Davenport received an Iowa Science Foundation Grant (ISF 13-05) in 2013 to conserve and repair the Putnam Museum's collection of mounted passenger pigeons and Carolina parakeets and to raise public awareness of how our actions impact the environment and to suggest how individuals can play a role in protesting habitat and biodiversity. The bird specimens were cleaned and repaired and both a temporary and long-term display (The Lost Sound of Wings) about the passenger pigeon and other extinct North American birds were installed in the museum's Black Earth/Big River exhibit. The new displays discuss the biology and history of the passenger pigeon and use the story of their extinction to raise awareness of the continued threat to our planet's biodiversity. The Iowa Science Foundation Committee of the Iowa Academy of Science awarded funding to the Putman Museum for this project to conserve and repair the collection and to tell this important story. 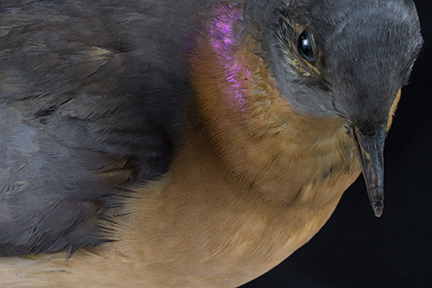 It meets the goal of advancing the public understanding of science while preserving the collection so many people in the future may learn about passenger pigeons. Below you will find photos provided by the Putnam Museum. They include before and after images of the bird specimens, the exhibit and wood carvings used in the exhibit.